Michelle Chester’s law practice in CEQA and water law is bolstered by an in-depth understanding of the California Energy Commission and a background in environmental science. In her nearly three-year tenure at the California Energy Commission, Michelle provided analysis on many legislative proposals, helping to review and refine proposed legislation. She was relied upon for insight on the potential legislative, fiscal, and legal impacts of bills on the Energy Commission. Among the issues she played a role in shaping was the groundbreaking legislation on energy conservation and efficiency, Senate Bill 350. For two years of her tenure, she worked in the Commission’s Chief Counsel’s Office, where she was part of the Siting Advocacy group, which was responsible for representing Energy Commission Technical Staff in administrative hearings for the issuance of a license to operate a natural gas power plant within the Commission’s jurisdiction. In this role, she became adept at navigating various environmental agencies and became skilled at negotiating the interagency cooperation that is necessary to move positions forward. 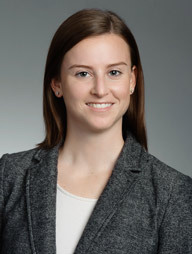 Michelle also gained experience working on highly-publicized proposals and advocating for policies in a transparent process in front of hundreds of people representing varied interests, such as unions, student groups and concerned citizens—a skill she brings to her law practice at Somach Simmons & Dunn. She brings additional experience from having served as a Legal Extern at the California Environmental Protection Agency, Department of Toxic Substances Control and a Law Clerk for the Governor’s Office of Planning and Research. Outside of her work in environmental law, Michelle often spends time outdoors. She enjoys hiking, trying to make time to hike at least once a week, heading to trails in Auburn or the North Bay. She recently accomplished the longtime goal of exploring Patagonia, hiking the mountains of Argentina and Chile.